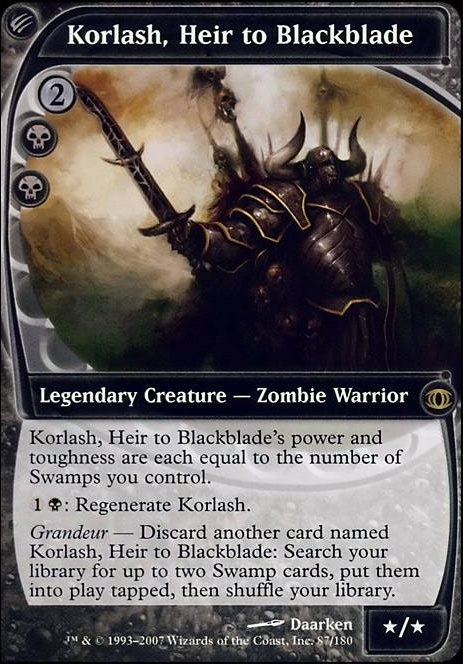 And Korlash, Heir to Blackblade . Darth_Savage on How Much Life You Got? 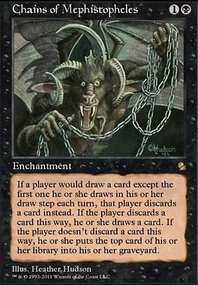 Budget doesn't need to be bad and some of your card choices here are just bad, particularly Insatiable Harpy, which should be Vampire Nighthawk or Gifted Aetherborn. 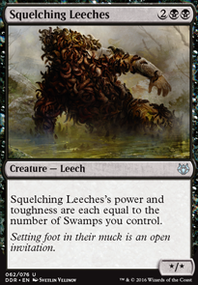 Squelching Leeches is also marginal, Dread Shade, Desecration Demon or even Korlash, Heir to Blackblade would be better choices. 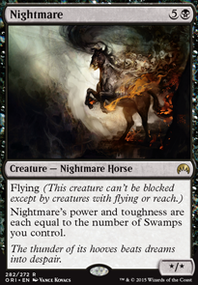 Given the number of creatures you are running Throne of the God-Pharaoh might work, also since you are mono black Mire's Toll and Soot Imp might be worth a shot. 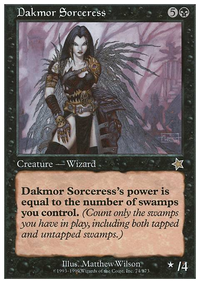 I occasionally run a devotion deck Sweet (black) devotion, which might give you some ideas, though it definately isn't budget. 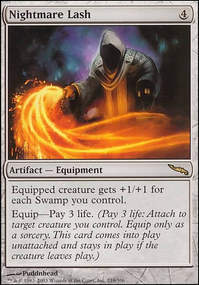 If you simply want to build a lifegain/drain deck, I'd look at cards like Sovereign's Bite, Alms of the Vein, Rite of Consumption and maybe Chancellor of the Dross. 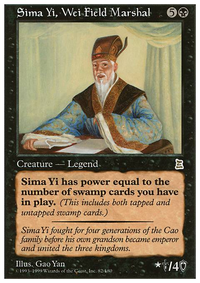 Also have a look at Mono black deckbuilder's toolbox, this is a list of the major black cards for modern. I hope this is of some help, good luck with your brew. 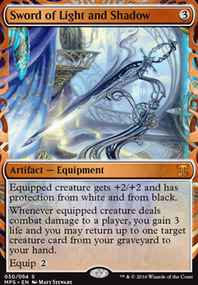 This actually isn't a bad shell for a budget Korlash, Heir to Blackblade looking at it, though it does obviously push it up to a $20 deck. I think that the deck has potential but some card slots can be improved. 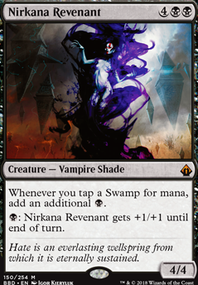 You've already addressed that but Liliana of the Dark Realms is a really weak PW and would be better as almost anything else be it Liliana of the Veil or Ob Nixilis Reignited. 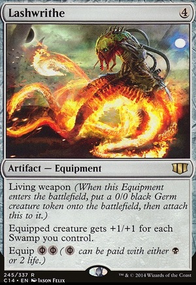 Crypt Ghast is a very fragile ramp card and also doesn't work with Damnation being your only option of removing creatures. 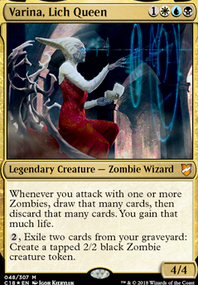 I'd either move Damnation to the SB or find other ramp options besides Crypt Ghast (which I'd advise anyway). Korlash, Heir to Blackblade, Gauntlet of Power, Hedron Archive, Gilded Lotus and also Burnished Hart/Wayfarer's Bauble and Solemn Simulacrum. 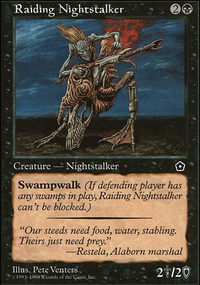 Walking Ballista (which can serve as removal before going to the face), Torment of Hailfire or Profane Command/Exsanguinate/Consume Spirit. 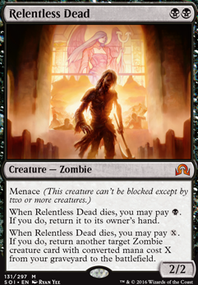 Josu Vess, Lich Knight is a pretty good payoff as well with 9x creatures for 10-mana (but a non-bo with Damnation). 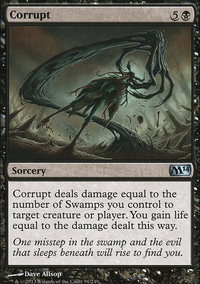 I'd also replace Diabolic Revelation (too mana hungry and win-more) with Mastermind's Acquisition which can let you tutor SB cards and keep extra win-cons in the SB so they can't get hit by discard or extraction effects. 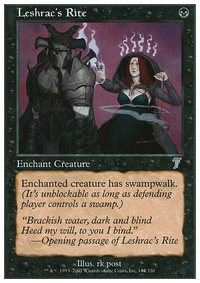 I'd also prefer Nihil Spellbomb to Relic of Progenitus in the SB.